To train leaders who can contribute to the practical resolution of global problems facing people living in various countries and regions in the world, as well as organizations including governments, companies, and NGOs, and to extend public and social benefits globally. In order to make this possible, IUJ offers a place to foster these leaders’ professional knowledge and skills regarding politics, economics and management, and to help them achieve a deep understanding of and human respect for different cultures. With these priorities as guiding principles, and the awareness of the immense value of training the complete individual, IUJ has a number of specific strengths. IUJ, Japan’s oldest graduate school, was founded in 1982, with the goal of preparing leaders who can contribute to the practical resolution of global problems facing the world. IUJ is Japan’s oldest English-based graduate school, with 100% of its regular courses offered in English. IUJ’s global environment continues after classes, particularly because almost all IUJ students live together on campus.Students establish lifelong friendships with each other. The human networks students build at IUJ have become assets that greatly benefit their careers after graduation. Almost all of IUJ’s faculty earned their doctoral degrees (Ph.D.) at the best-known schools in the US and Europe. IUJ provides practical research activities for all students through its close relationship with International Organizations such as the World Bank, multinational companies and regional bodies. IUJ provides excellent Career Counseling Services, giving students one-to-one career advice before they enroll and counseling and job search assistance during their time at IUJ. As a result, IUJ has a very high rate of employment for students within three months after graduation. CC&S also offers a full career support system provided by alumni who are active world-wide. The Graduate School of International Relations (GSIR) which addresses global issues in the public sector, was established in 1982 to develop global leaders in the 21st century. Many excellent IUJ alumni have emerged from it. In September 2011, MA in Economics track was launched. The GSIR now offers three program with five two-year Master’s Degree programs (see right). This track is intended to educate effective global leaders in various fields of today’s global society, with deep and multi-disciplinary understanding of politics, economy, and primary societal trends as well as cultural and historical backgrounds. Toward a peaceful and environmentally-friendly, poverty-free international community, this track prepares professionals tackling development issues equipped with solid expertise, practical skills, and scientific theories. The goal of this track is to equip the students with a comprehensive understanding of contemporary macroeconomic issues and to help them contribute to sustainable economic growth and development in Asia and the Pacific. The Public Management and Policy Analysis Program is designed to meet the needs of good governance, which is required to implement, administer and evaluate policies in the areas of environmental management, health care, education, and national and regional development. 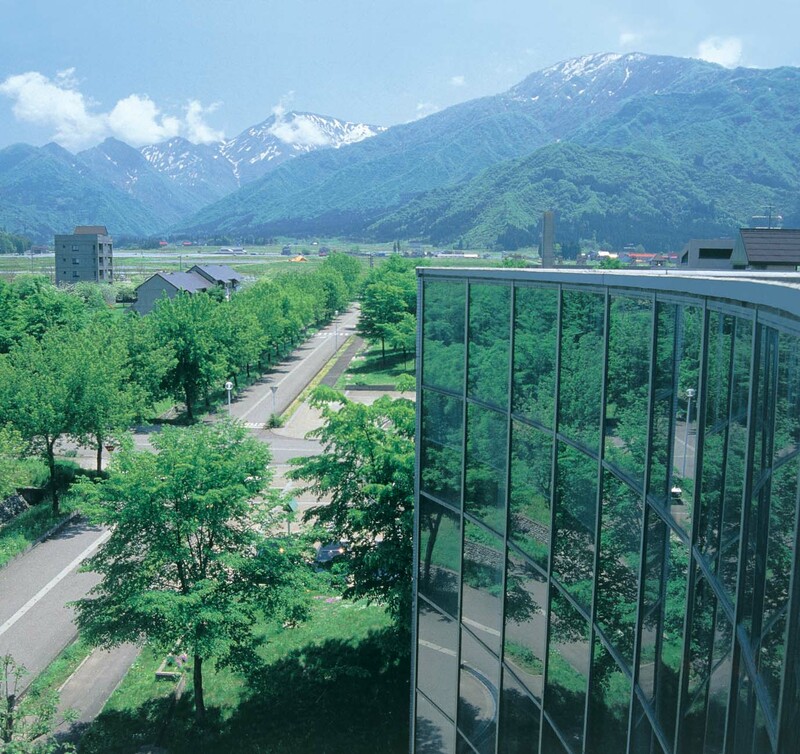 The Graduate School of International Management (GSIM) which addresses global issues in the private sector, was started in 1988 as the first U.S. style business school (2-year MBA program) in Japan. In response to today’s business needs, a one-year E-Business Management Program was added in 2001 and also a one-year Intensive MBA program was launched in 2013. The GSIM is ranked as a top business school in Asia. The IUJ MBA offers multidisciplinary curricula encompassing all the important core courses including Finance, Marketing, Product Development, Management, IT, and Human Resources Management. The one-year Intensive MBA program is designed only for the most capable and best motivated individuals who are willing to go back to graduate school for an intensive 12-month period to turbo-charge their careers to the next level. Students entering this program come with significant functional expertise through their work and are being groomed for potential global general management challenges following graduation. The e-Business Management Program is a one-year Master’s course that trains managers to add value through technology. Students can choose courses from flexible offerings including MBA classes.